Rachel and Dobby threw a Valentine's Day themed party for their pals! Have you ever thrown a party for your pups? 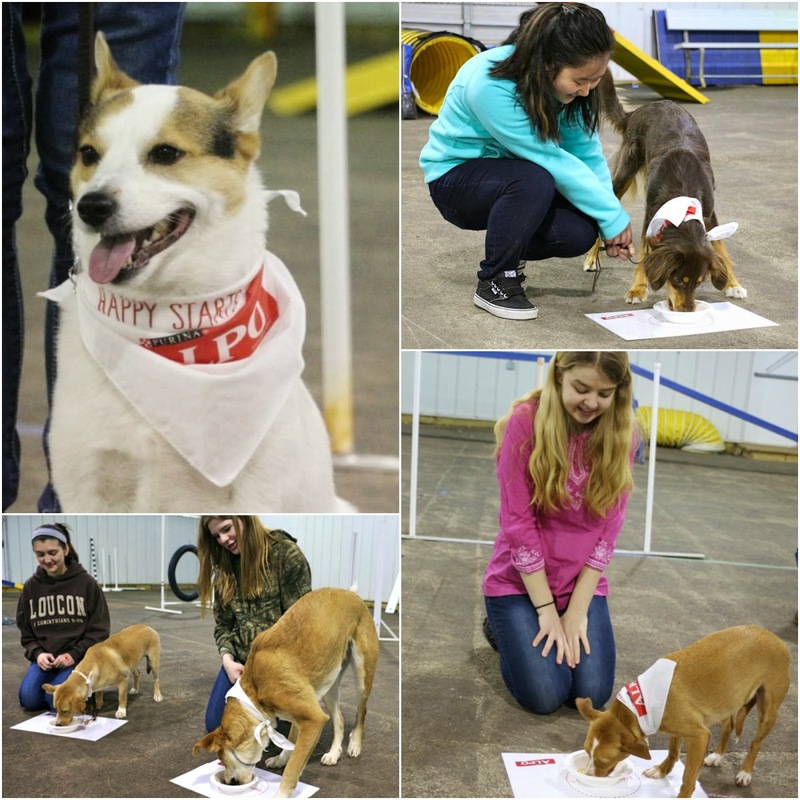 Our pals Rachel and Dobby at His Muddy Paw Prints recently threw an Alpo tasting party for their friends at their local 4H dog club. And now you have the chance to win your own taste-test party! Get inspired from some of these fun photos from Rachel and Dobby's party and then read all the way down to enter for a chance to win an Alpo Party Kit, full of goodies so you can throw your own taste-test party! Rachel and Dobby and their pals had a terrific time at their party. Rachel even made a kissing booth for some photo fun! The pups enjoyed their tasting party! And, it was a nice opportunity to work on a little training too. What good pups! 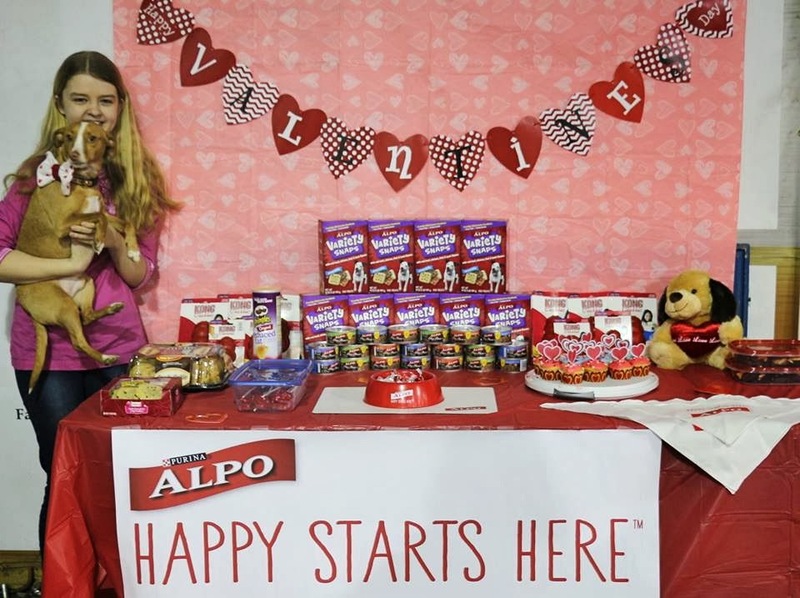 Win an Alpo Tasting Party! Enter via Giveaway Tools, below, for a chance to win an Alpo Party Kit, valued at over $250! There are lots of ways to enter. You can enter as many or as few as you like. ALPO provided the prize for the taste-test party and giveaway. All opinions expressed herein are our own. I just love my dogs and the rescue dogs I work with and would love to see them have some fun with a party like this. My life is dogs! I think it would be fun to host a party for all the dogs in my life and my friends' because dogs are so awesome! Thanks for the giveaway! What is better then a puppy party? Nothing! 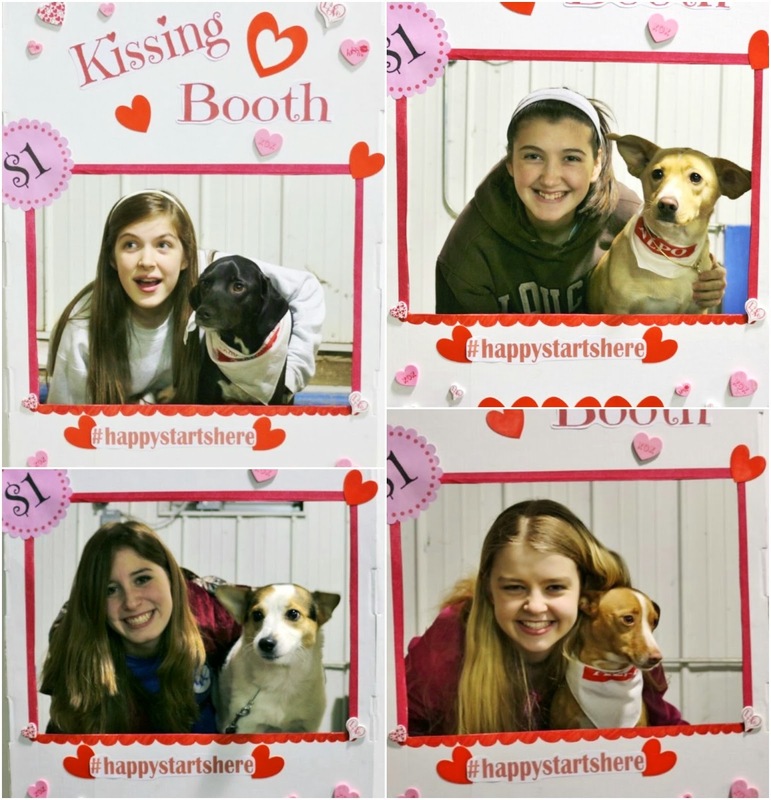 Aww, that kissing booth is adorable! I think it would be awfully fun to get our dog training club together for a fun night of partying! i would love to win b/c it would be a great prize to donate to the pet food bank at safe haven shelter in raleigh,nc. they have a place we they could invite people to a puppy and cat party. Those are such fun for a puppy party. Good luck to those who enter. Have a terrific Tuesday. Schooner and Skipper would love to invite their dog cousins Harley, Tristan, Abner. They would in invite their dog friends Ruby, Gunther, Pepper, Pumpkin, and Tucker. I think it would be so much fun having them sit at the table and having them taste the different treats and food! How much fun. I think maybe I would make hats too! There seems to be "puppy fever" going on around here, and I know of a number of friends with new dogs or puppies. A party like this would be a fun opportunity for socialization. What a fun idea! I would love to host a dog party! I have 5 dogs and that is a party in itself. They love doggie treats. It would be fun for the dogs to get together and have a taste testing party and try a bunch of treats, Shade just loves Snaps. She loves seeing all her dog friends at Dog Club and misses seeing them. She would like to share treats with her dog friends. would be fun to get all the neighborhood dogs together! I think it would be fun to host a Alpo taste-test so my dog can play with other dogs, and to see which flavors they like best. With fun and interested passing time with love logs. My dog has alot of doggie friends he would LOVE his very own party ! My dog LOVES being with other friends AND eating...this party would be perfect for her! I think it would be fun because our dogs are like our babies and their birthdays are coming up, this would be a fun little treat for them. Love the idea! Wish I could I win! I think it would be amazing to host an Alpo party because my three little boys picked out our sweet dog Sawyer a year ago from a local shelter and we have all loved him since! He definitely deserves a party for himself and his buddies! We would love to host a Alpo party because she has a few friends in the neighborhood and it would be a good way to socialize her. I love dogs! And my dogs love Alpo!!!! I would win this for a fundraiser for the St. Louis Samoyed Rescue, I volunteer with them. I work with a couple of shelters in my area and I think the dogs there would love to have a party. I just moved into a new house and there are a lot of dogs around here-I'd invite the neighbors and their dogs so we can all get to know each other. It would be fun to spend time with my friends and their dogs. It would be a lot of fun to hang out with my friends and and give the dogs a chance to play! I love dogs, so it would be fun to have lots of them together. There are a lot of dogs in my neighborhood and it would be great to have a dog-centered get together for us to all. Having a party like this seems like it would be so much fun and I'd love the chance to share with with other furkids. my dogs would love this. Doing anything with your dog is fun! It would be fun because all of the dogs would enjoy it! I think it would be fun because I love dogs and we have plenty in our neighborhood that would be happy to bring their furry friends to a party!! It would be fun to play with all the dogs and taste test! this would be a great thing to have at ellie's 3rd birthday party! last year we had 15 dogs...this year we are hoping for about 20! It would be awesome to host my friends and their dogs for a party full of games and treats. i know it would be fun to host an alpo party for our dogs because they are always up for fun and we are too!